You’ve probably heard of Meatless Monday by now. According to a 2011 Gallup poll, over 50% of Americans said that they had! This public awareness campaign originally kicked off in 2003 in conjunction with John’s Hopkins Bloomberg School of Public Health. At its inception, Social Impact provided the strategic planning for this social marketing campaign to help people cut saturated fat out of their diets through an easy, fun and positive approach. In addition to creating the Identity and website for the campaign, we also ran a pilot community campaign in West Chester, PA to test and develop models that could be used on a national basis. 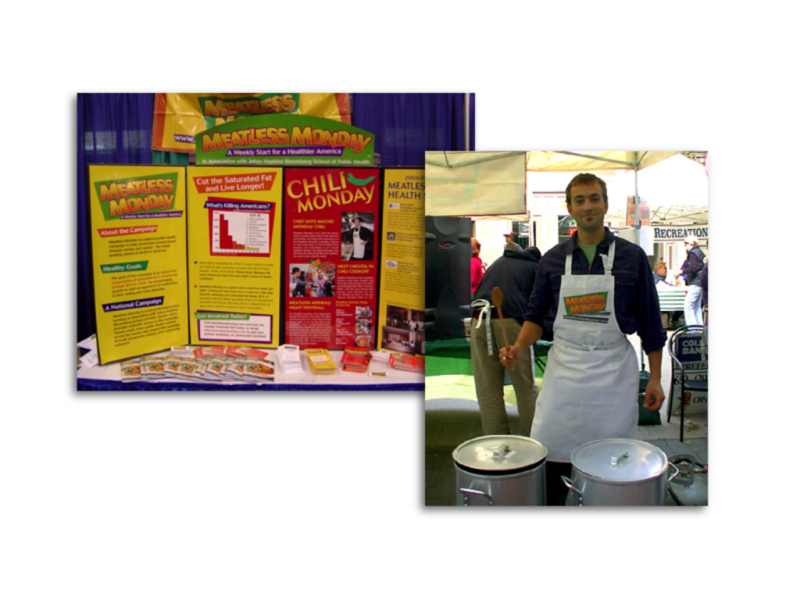 Did you recognize alumni Creative Director, Alex Peltz serving up that meatless chili at the West Chester Chili Cook Off?